The quarterback battle at Ohio State will be the biggest on-field story for the Buckeyes until the competition is settled, and it doesn’t look like that resolution is coming anytime soon. Sophomore Justin Fields came from Georgia to compete against redshirt freshman Matthew Baldwin and redshirt sophomore Tate Martell. With Martell’s transfer to Miami, the competition is down to just two men, but there is no less intrigue. 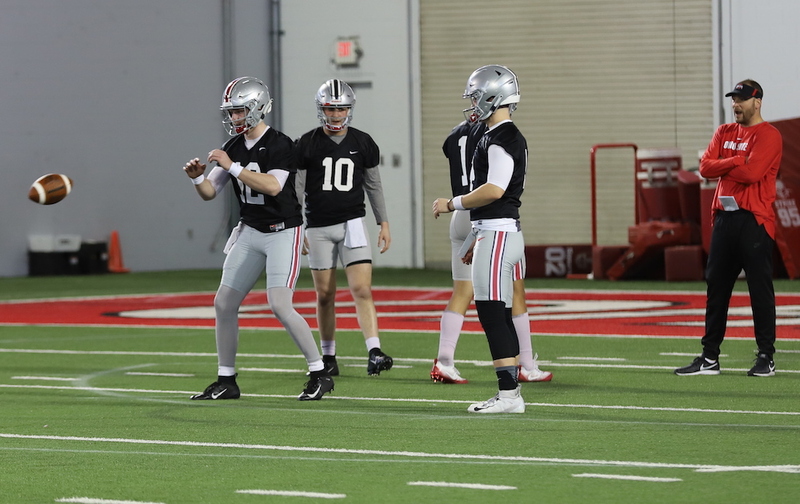 Ohio State is still in the early stages of spring practice, but it hasn’t taken head coach Ryan Day long to see some good things from his guys. Baldwin has been in the Ohio State system for an entire year now, but he did more watching than throwing last season. For Fields, this is all new. Despite the inexperience, Day is seeing positives. Before Martell left, he famously said that it takes an entire year to understand the Ohio State offense. Martell was doubtful that Fields would be able to come in and pick up the offense quick enough and well enough to start this season. According to Day, however, Fields is understanding the system pretty well. Each day is a new learning experience for all of the quarterbacks, which is why it is important for each of them to get enough reps for the coaches to begin making decisions. More importantly than that, however, they want a bunch of reps because that’s the only way to get better, especially for a guy who was at Georgia a year ago. As to who is currently in the lead in this competition, Day isn’t talking. Fields was with the ones during the open practice on Saturday, but Day was adamant that both quarterbacks are going to get an opportunity to win — or lose — the job. “[Justin Fields] hasn’t been taking all the reps with the ones,” he said. “Matt’s taken reps with the ones. It’s one of those things, we’re going to try to split up the reps the best we can, and Matt has taken reps with the ones and he will continue to take reps with the ones, and the guys have got to do a good job of taking those opportunities and being successful with them. Don’t allow yourselves to be sucked into the “QB competition/battle” stories. Like last year, this year will be no different, there is no competition for the job. You don’t bring in the highest rated QB the Buckeyes have ever landed without assurances of starting. 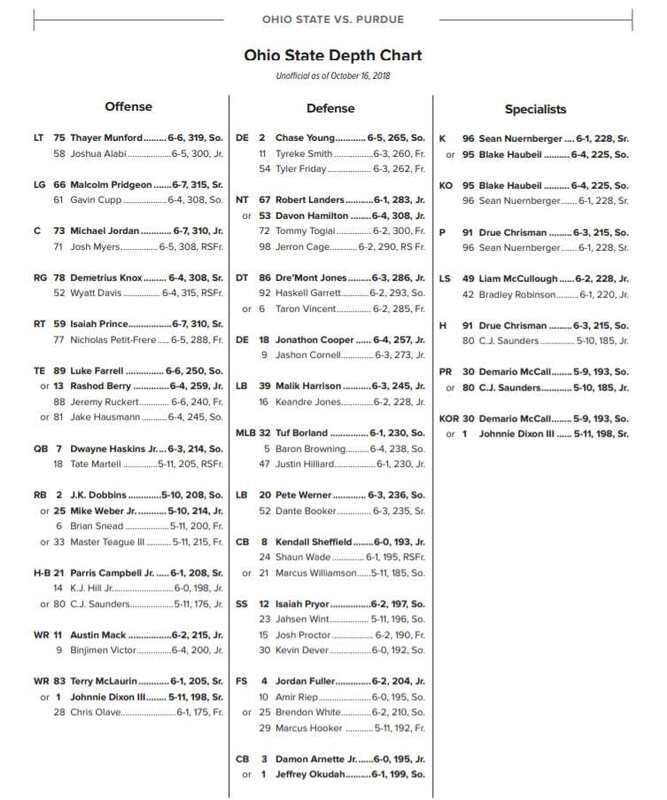 Fields will be the starting QB for the Buckeyes unless he gets hurt. Manziel….I mean Martell knew that so he transferred down to the Canes. I will leave out the name of another QB who transferred out because he would not be given the opportunity to compete for the job since Fields had already been promised the position. Yeah, this and the black stripe magically getting removed this soon sure smells like a Fields setup. Apparently Martell didn’t want to stick around and compete even though he claimed to have a huge head start on any QB who was new to the program like Fields. I wonder if he is singing that same song now that he is the new guy at Miami.